What's that thing they say again about life beginning at forty? 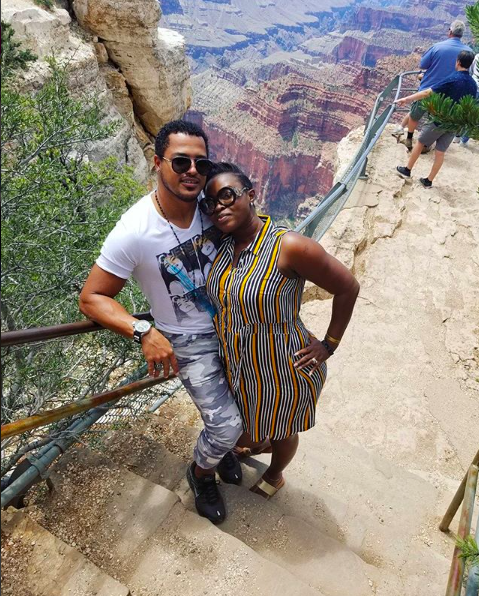 Ghanian actor and lover boy Van Vicker turned 40 days ago. The handsome filmaker decided to celebrate his birthday with his family in Las Vegas. 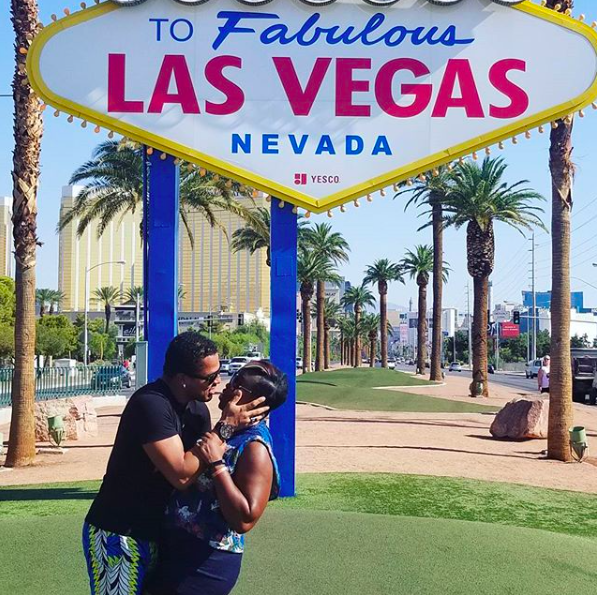 He shared cute photos of himself and wife Adjoa, having a lovey dovey moment with a cute caption too. In the photo, the actor reached out to kiss his wife who shifted her head back slightly, trying to avoid the kiss. When she says 'No' after you have swiped your card multitudinously, lol. You de craze! #theyounggodfather#lasvegas, he wrote. The Vickers have been married for 14 years and have 2 beautiful girls and a boy.